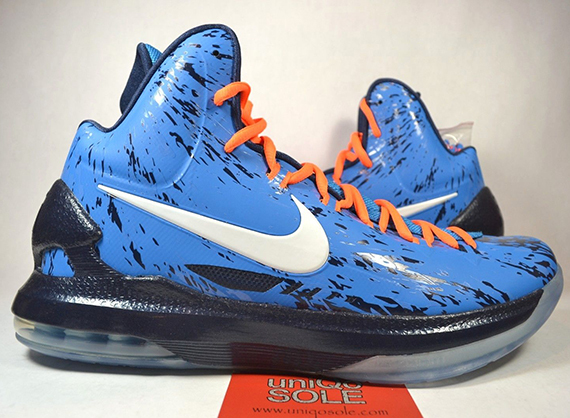 Do you remember all the Nike KD 5 pairs that never made it to retail? A large number of them were of the fade persuasion, feautring a gradient midsole set up. Seemingly a little bit rarer are pairs like this, which have a sort of painted on appeal. Get with us after the break for a detailed set of images pertaining to this OKC Thunder flavored sample that never made it to retail, let us know if you wish they did, and then check out the chance to own them now from uniqosolecom on eBay.